Pale pink daisies with brilliant aster-like blooms and more--I believe a garden composition is perfect for a patio side table. 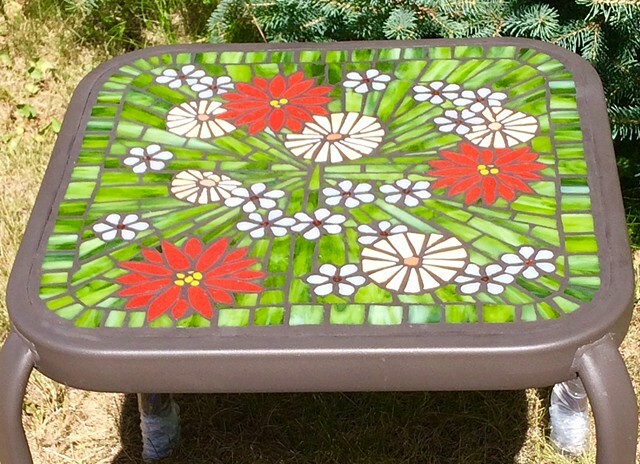 This table is sold (a home in Lethbridge). If I can find another great glass-top table like this one, I'll be making another.